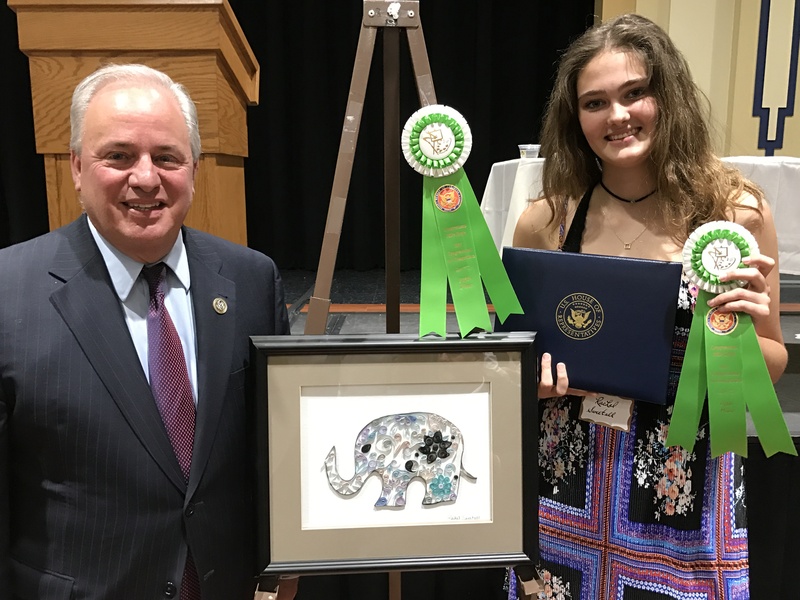 April 24, 2017 - Congressman Doyle with Macy Kelly Ernst from South Allegheny High School, winner of his 2017 Congressional high school art competition and her winning artwork, a drawing in colored pencil and paint pen entitled "Wildfire." Ms. Ernst's composition will be displayed in a place of honor in the United States Capitol Building with the winning artwork from other Congressional Districts across teh country for the next year. 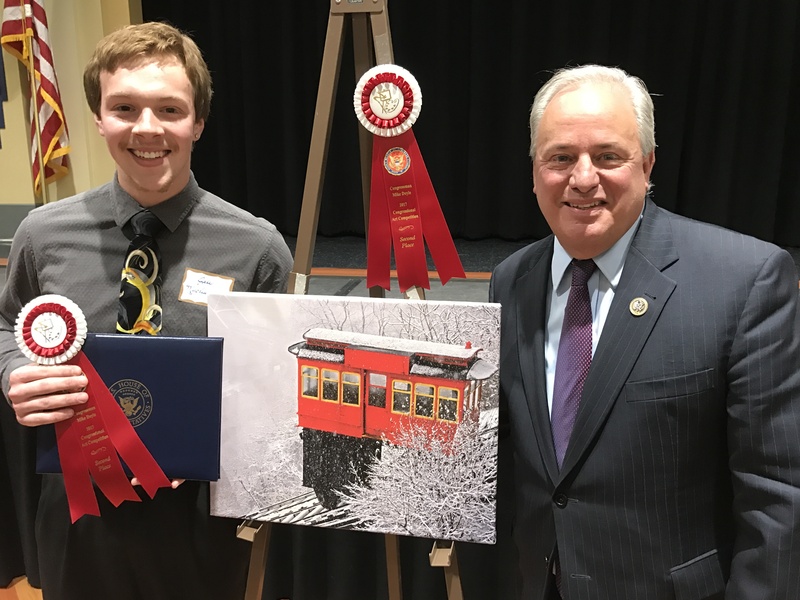 April 24, 2017 - Congressman Doyle with Congressional Art Competition Second Place ribbon recipient Jake Mysliwczyk from Baldwin High School and his photograph “Winter Descent.” His artwork will be displayed in Congressman Doyle’s Washington, DC, office for the next year. 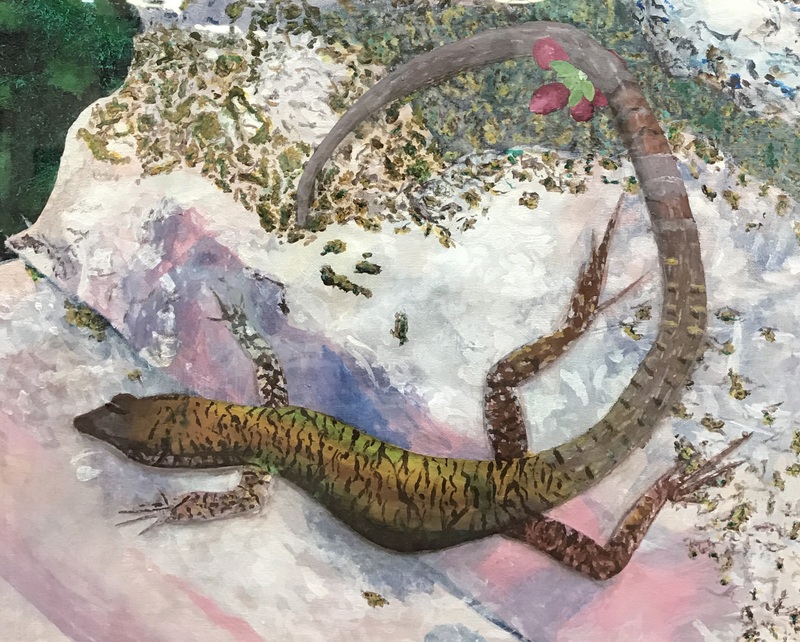 April 24, 2017 - The Third Place award in Congressman Doyle's 2017 high school art competition went to Jonah Grove from Pittsburgh CAPA for his acrylic painting entitled “Lizard.” Mr. Grove’s painting will be displayed in Congressman Doyle’s Penn Hills office. 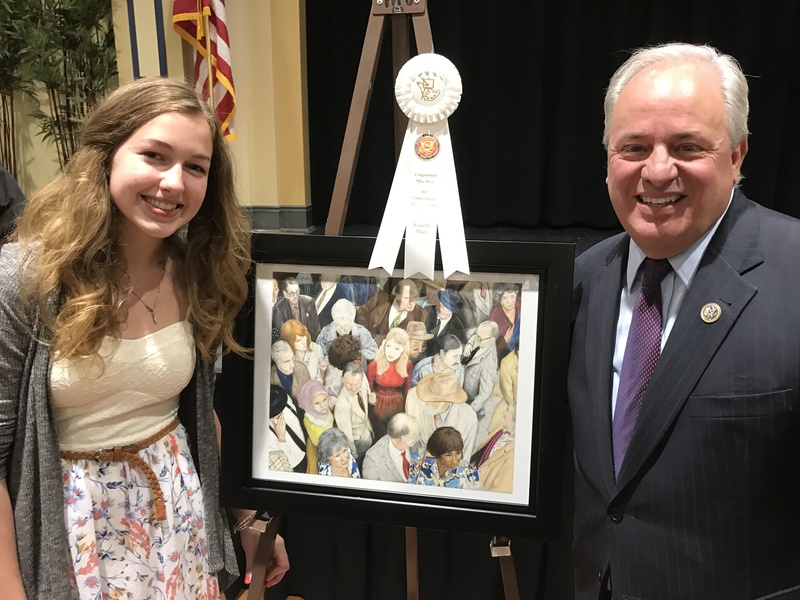 April 24, 2017 - The Fourth Place ribbon in Congressman Doyle's 2017 high school art competition went to Haley Peretic from Cornerstone Christian Preparatory Academy for her pencil and colored pencil drawing entitled “Every Day People.” Ms. Peretic’s painting will be displayed in Congressman Doyle’s South Side Pittsburgh office. 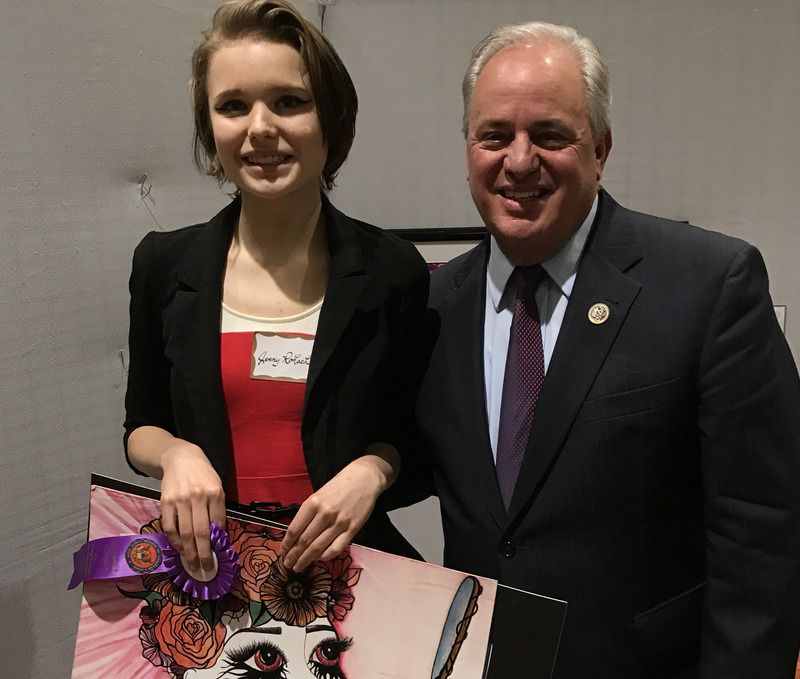 April 24, 2017 - The Fifth place award recipient of the 14th District Congressional High School Art Competition was Rachel Sweetall from Montour High School, who was awarded fifth place for her paper, glue, and canvas composition “Paper Ella.” Ms. Sweetall’s artwork will be displayed in Congressman Doyle’s McKeesport District Office for the coming year. 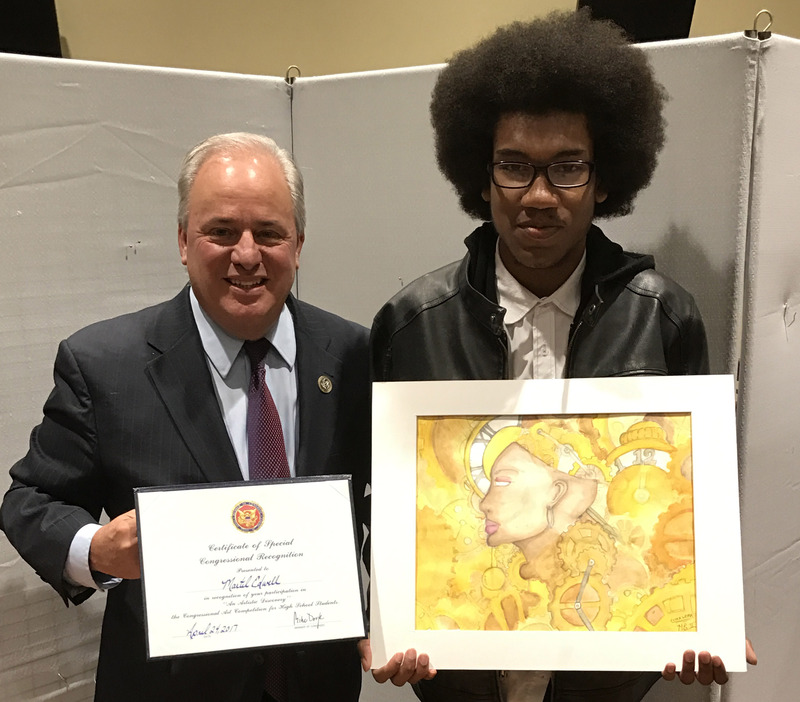 April 24, 2017 - Congressman Doyle with Martel Edwell from Pittsburgh CAPA and his watercolor "Clockwork" at Congressman Doyle's 2017 high school art competition. 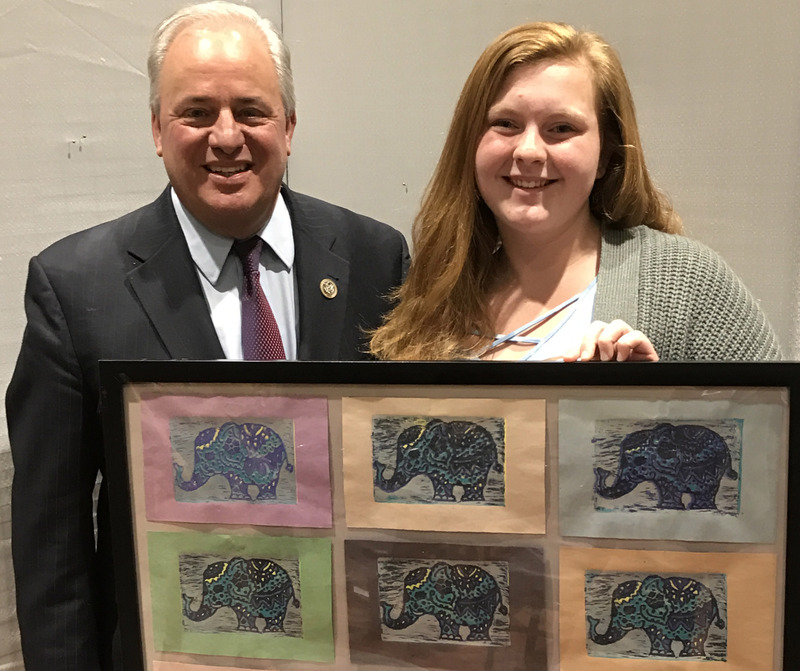 April 24, 2017 - Congressman Doyle with Jennifer Gustafson from Highlands High School and her artwork, an untitled collection of prints that received Honorable Mention at Congressman Doyle's 2017 high school art competition. 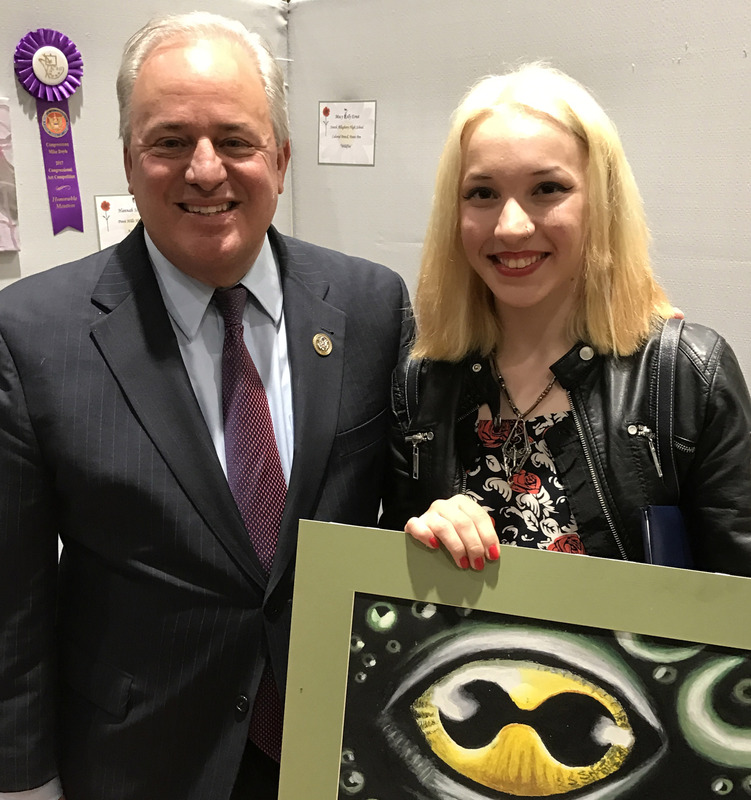 Congressman Doyle with Dania Zaynullin from Penn Hills High School and her artwork in oil pastels entitled "Hermaeus Mora" at the 2017 high school art competition. 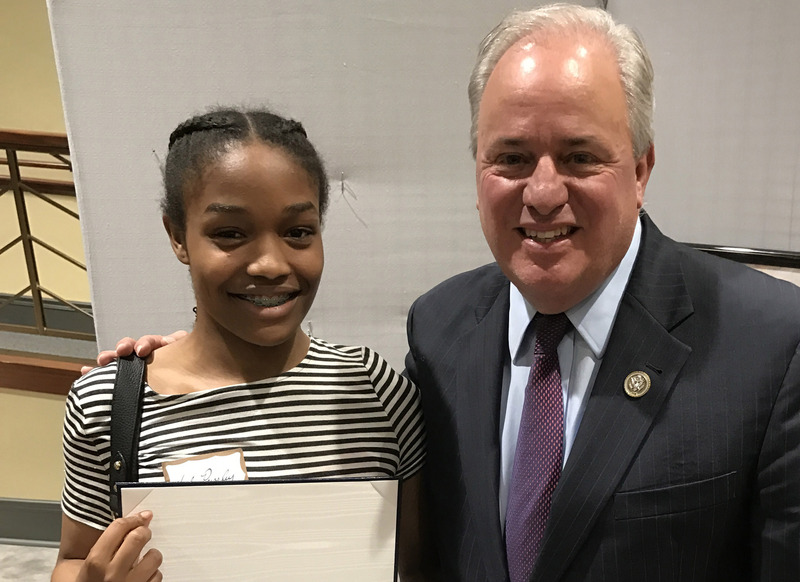 April 24, 2017 - Congressman Doyle with Hailey Pressley fromThe Neighborhood Academy at the 2017 Congressional high school art competition. 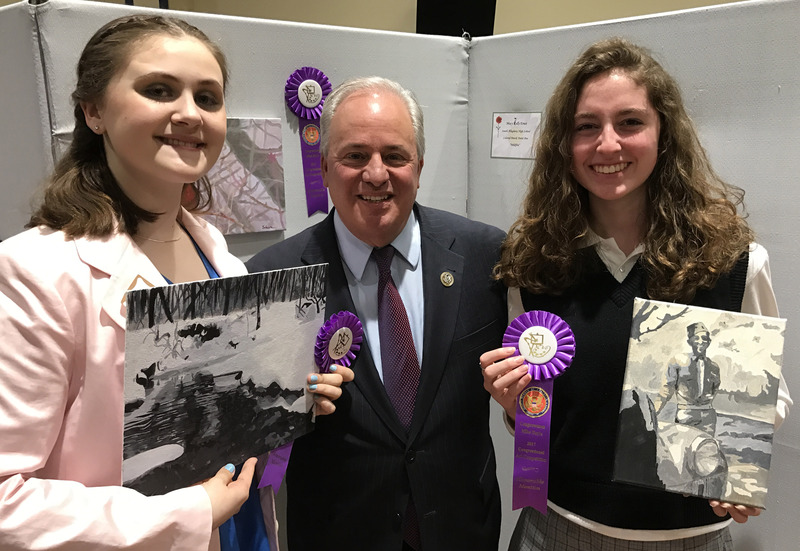 April 24, 2017 - Congressman Doyle and Oakland Catholic High School's Rachael Kate Yanalitis and Maggie Leone and their Honorable Mention compositions "Winter in Frick Park" and "Grandpa ed Coming Home." 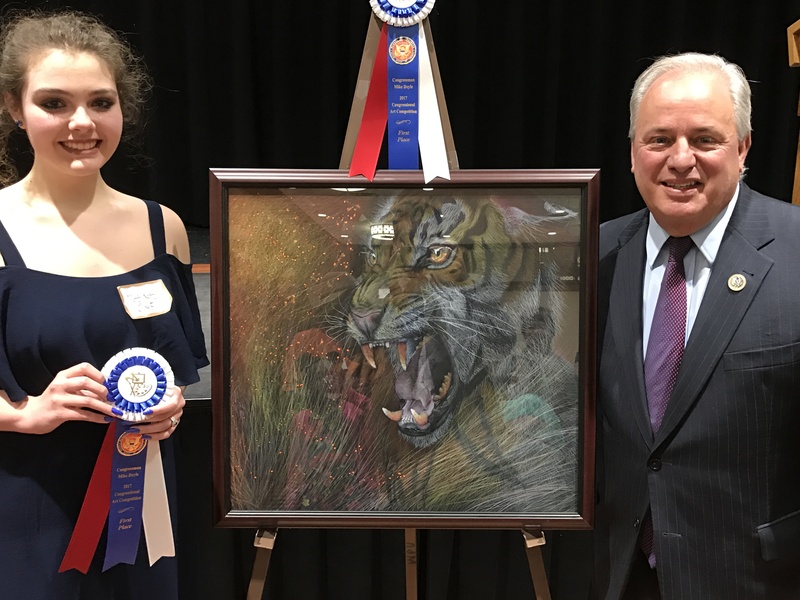 April 24, 2017 - Congressman Doyle and Jenny Rohach from West Mifflin High School with her composition "Empty Mirror," which received an Honorable Mention at Congressman Doyle's 2017 high school art competition. 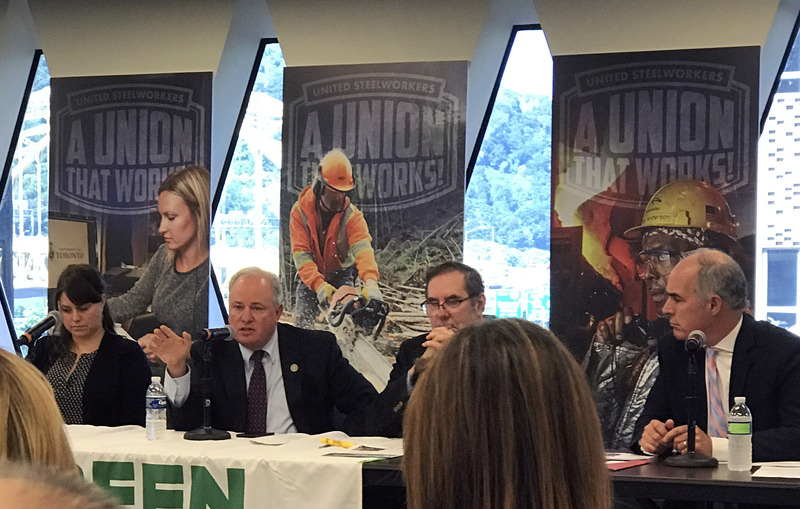 August 16, 2017 - Congressman Doyle and Senator Casey participated in a forum on US trade policy hosted by the Blue-Green Alliance and held at the USW headquarters in Pittsburgh. Congressman Doyle called for renegotiating NAFTA to include stronger labor and environmental standards, tougher enforcement measures, and replacement of NAFTA's existing dispute resolution system. 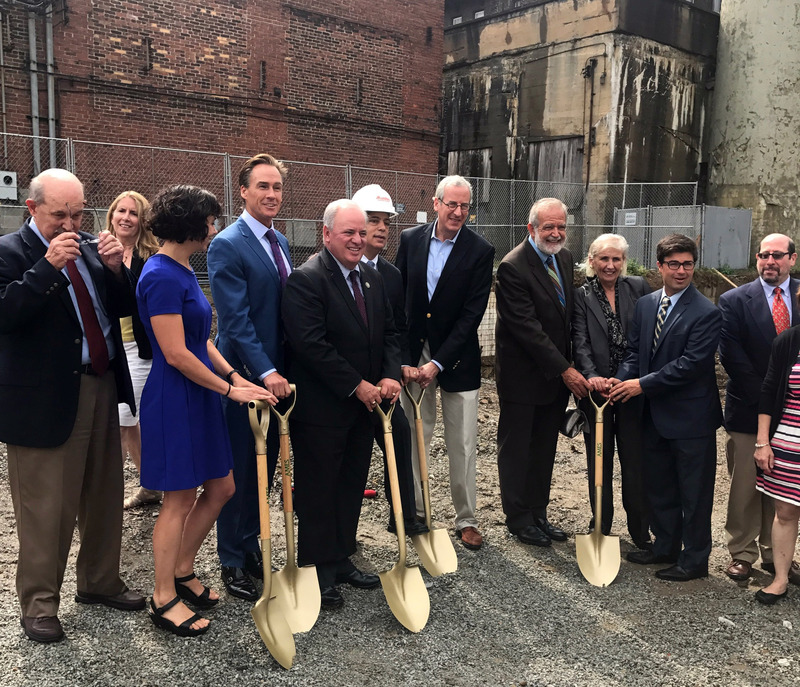 August 18, 2017 - Congressman Doyle joined Action Housing, Jewish Residential Services, the Pennsylvania Housing Finance Agency, the Bank of New York Mellon, and the Urban Redevelopment Authority of Pittsburgh in breaking ground for a new affordable housing facility in Squirrel Hill. 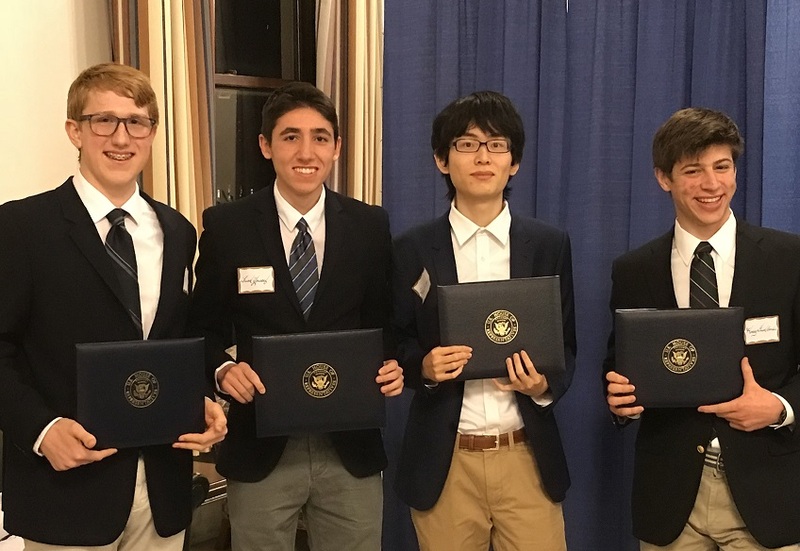 December 5, 2017 -- Winners of the PA-14 Congressional App Challenge: Nick Zana, Fuad Youssef, Peter Wang, and Henry Friedlander from Shady Side Academy. These students created an app that executes all of the main functions of a planner, student ID, and document database. 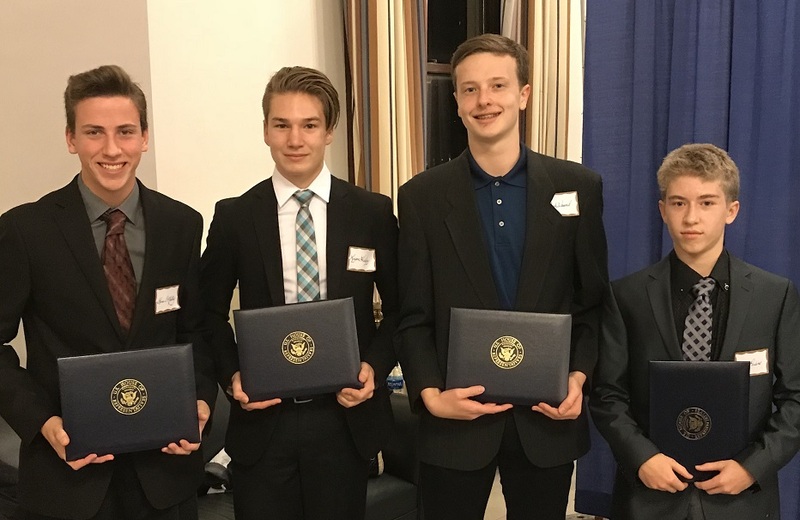 December 5, 2017 - Runners-up in the PA-14 Congressional App Challenge: Macen Perkins, Shane O’Malley, Derek Wassel, and Logan Hickey from Montour High School. These students created an app that teaches students coding languages.